I've got another cute little felt ornament to show you all..
Can't wait to put this guy on my tree with my felt gingerbread man ornament! Since this is hubby's and my first Christmas together we are a little short on ornaments. I've been trying to get my rear in gear to craft some!! 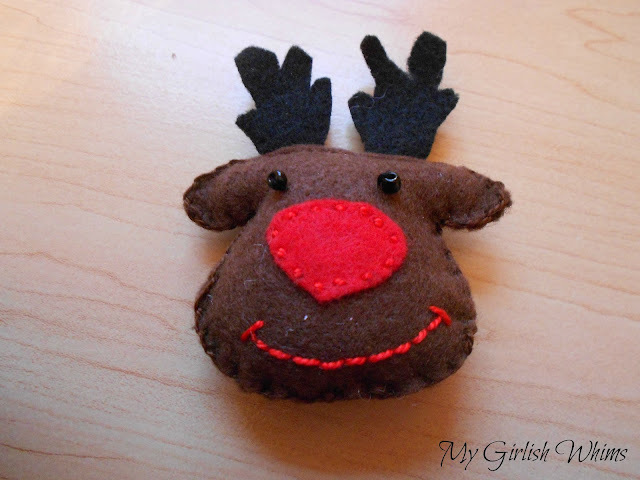 I cut out a little red nose out of felt and stitched it on with embroidery floss. A couple more stitches gave me a smile, and I also stitched two black beads on for eyes! After all the face is made, I put the other brown piece of felt behind and stuck in the antlers and used a blanket stitch to close him up, stuffing some fluff in during the process! 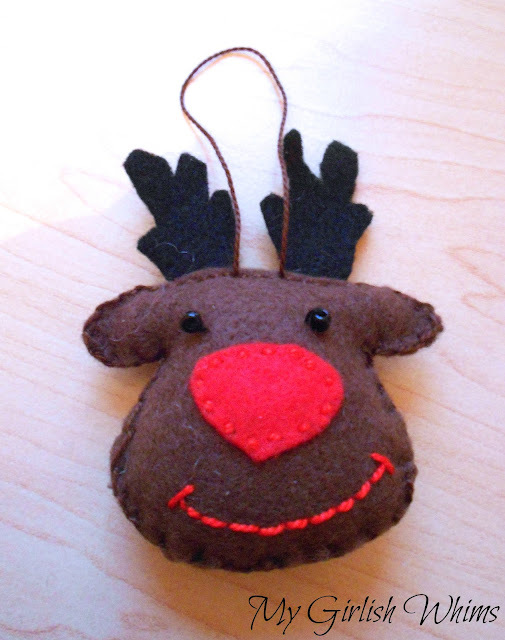 Last step needed to make this little guy an ornament was to just stitch a loop on the top out of the embroidery floss! All set to be hung on my tree! Crafting with felt is one of my favorite crafts. 10 years from now my tree will probably be covered in little felt ornaments haha! They are just so cute and easy to make! Enjoy making yourself a little reindeer if you give it a whirl! 2013 Sunrises & Sunsets Calendar by Ian Roth Studios is a calendar created out a passion for taking breathtaking sunrise and sunset photos. 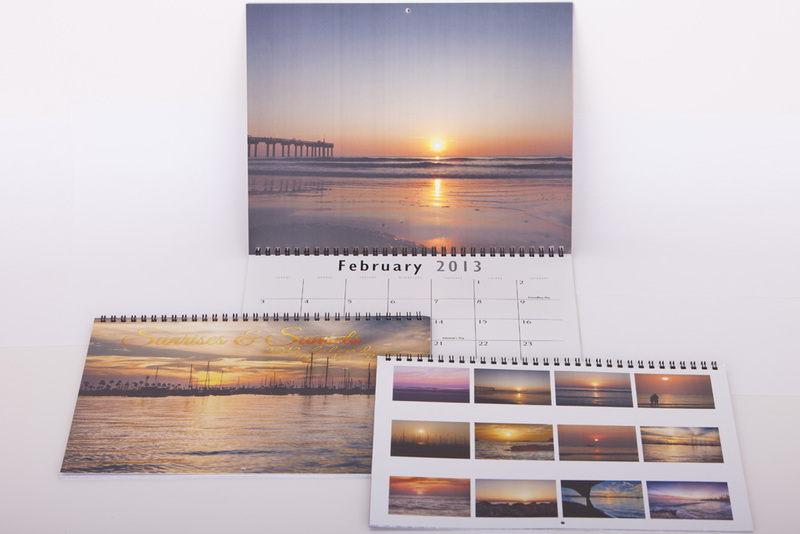 It's a 28 page calendar with photos from the east coast of Florida to west coast of California and makes a great holiday gift. Aww he is the sweetest! Hi Rebecca, I love the reindeer, so adorable. Come visit Maddalee, you may like stuff over there! Thank you for sharing, I'm a new follower! BTW you look great in the dress. Cute! It reminds me of a paper reindeer my son made in 2nd grade that I still put up at Christmas. So lovely!! !I'm crazy about reindeers! Thanks so much for sharing the great tutorial! The best and most beautiful things in the world cannot be seen or even touched - they must be felt with the heart. See the link below for more info.